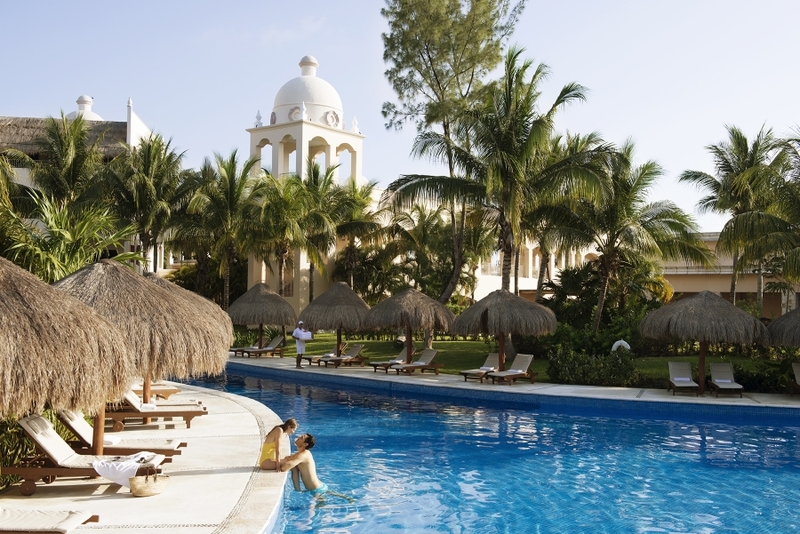 Situated on the Riviera Cancun, 3 km from Puerto Morelos downtown and 20 km from the Cancun International Airport; the Excellence Riviera Cancun is a Luxury All Inclusive adults-only resort, recommended for romance and relaxation. 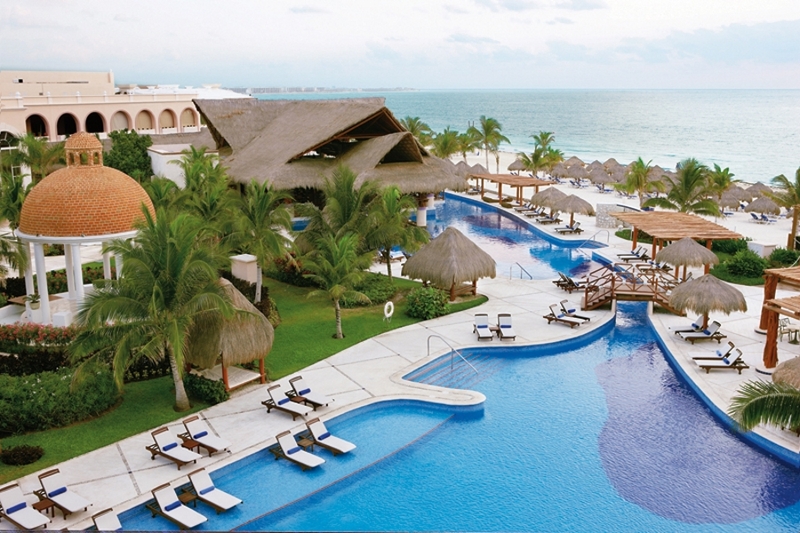 Excellence Riviera Cancun is a classic all-suite Mediterranean-style resort crafted from stucco, tile and marble. 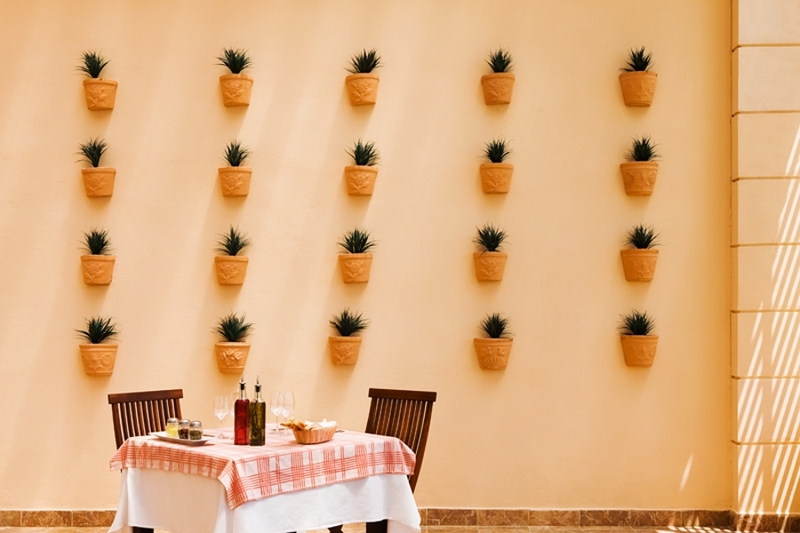 Experience gourmet cuisine in one of the ten international restaurants. 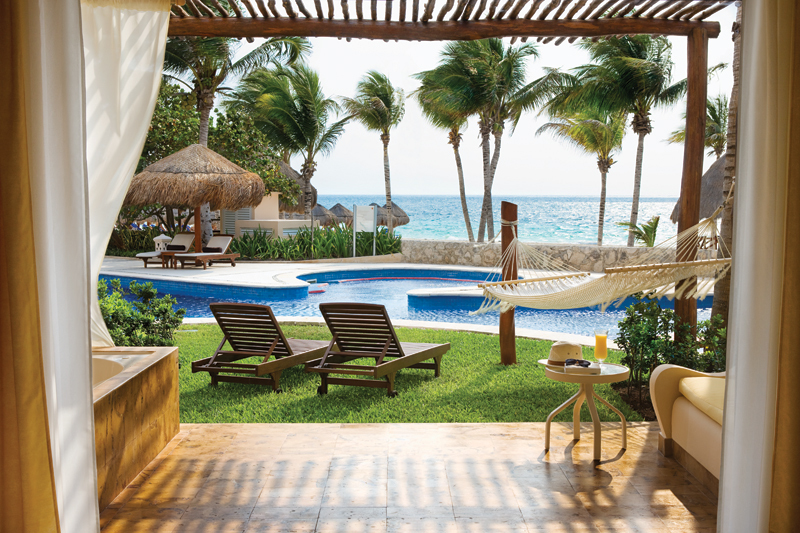 Take an afternoon snorkel, enjoy a yoga class on the beach at sun-up, or nightly shows at the theater. There are no reservations required. 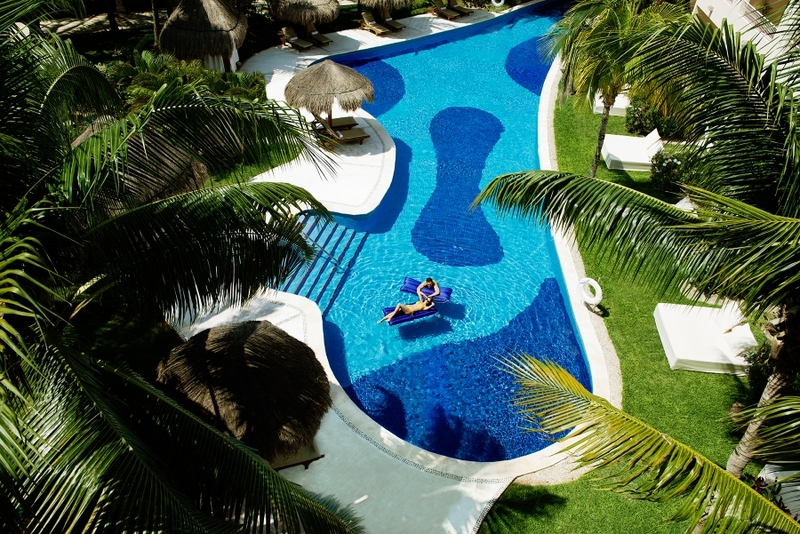 The resort offers a selection of nine different suites, taking advantage of the beautiful Riviera Maya ocean front setting. Suites are sumptuous in size and superior in style. 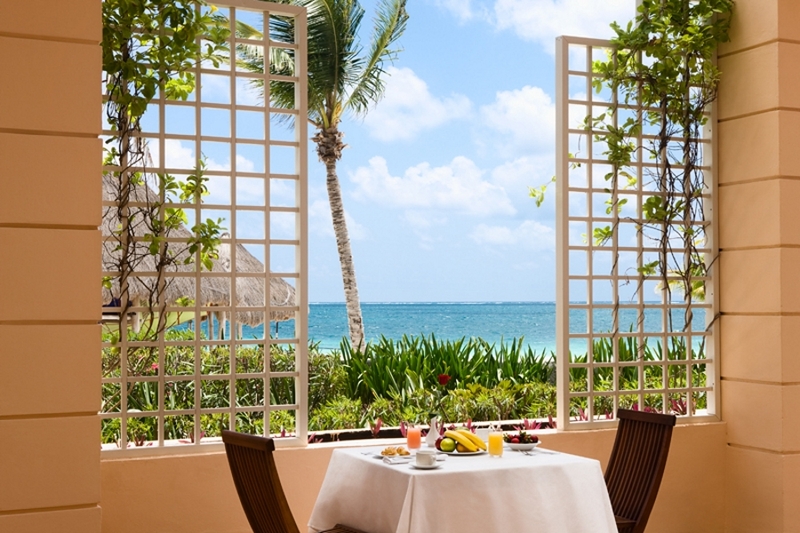 The Excellence Club is for guests who demand the ultimate in luxury, exclusivity and service. 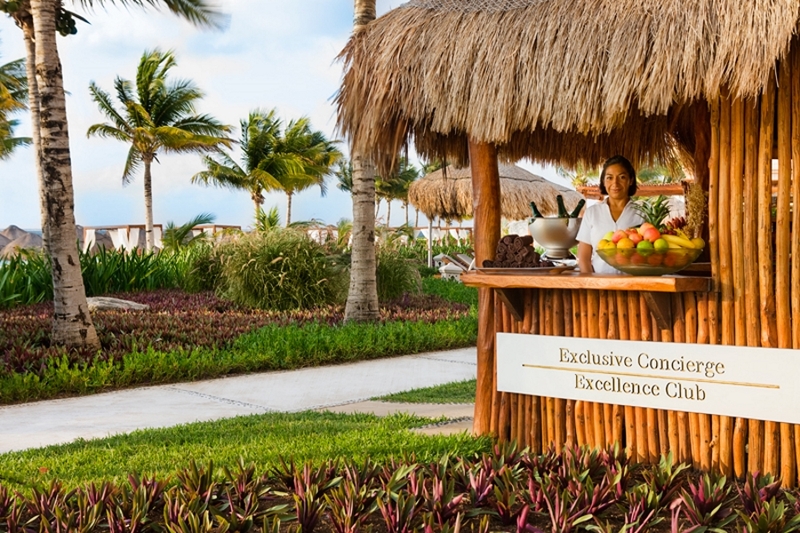 You’ll be treated to express check-in and check-out service in a private VIP lounge area. 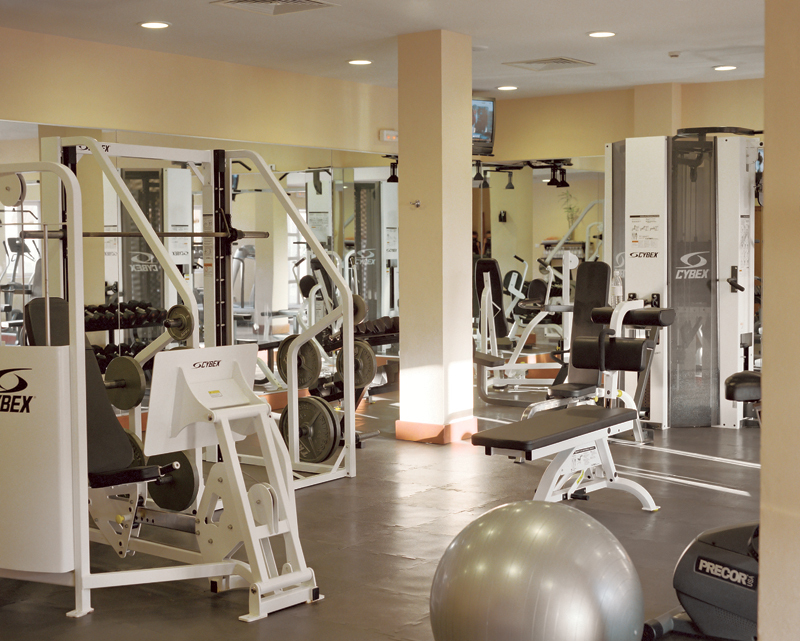 The lounge is solely for the use of Club guests and has free Internet access, snack buffets and bar service. Consider it your own private club to use any time. 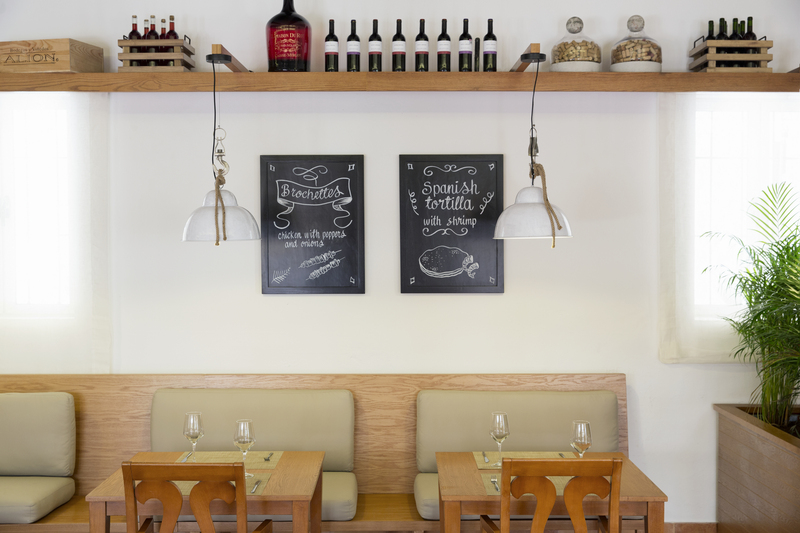 Enjoy dishes from Italy, France, the Mediterranean and Asia as well as local favorites. 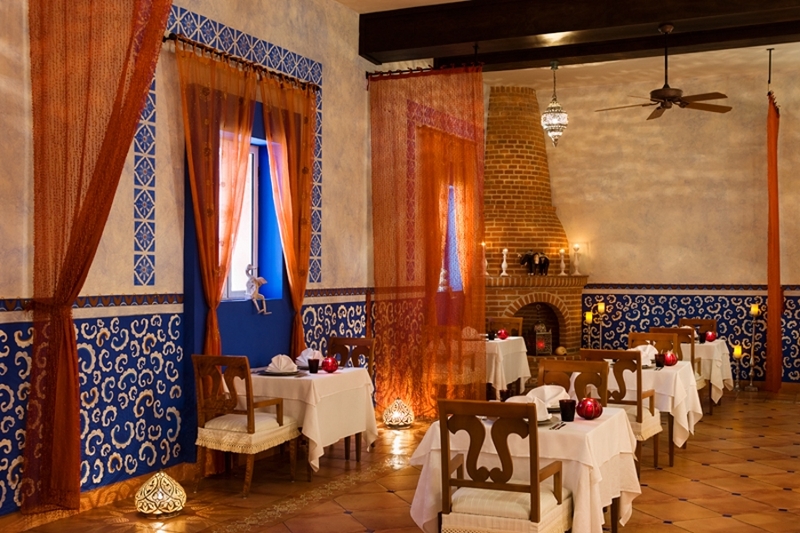 Don’t miss the best dining experience, enjoy the highest quality at the Lobster House or taste the delicate curry at Basmati Indian restaurant. 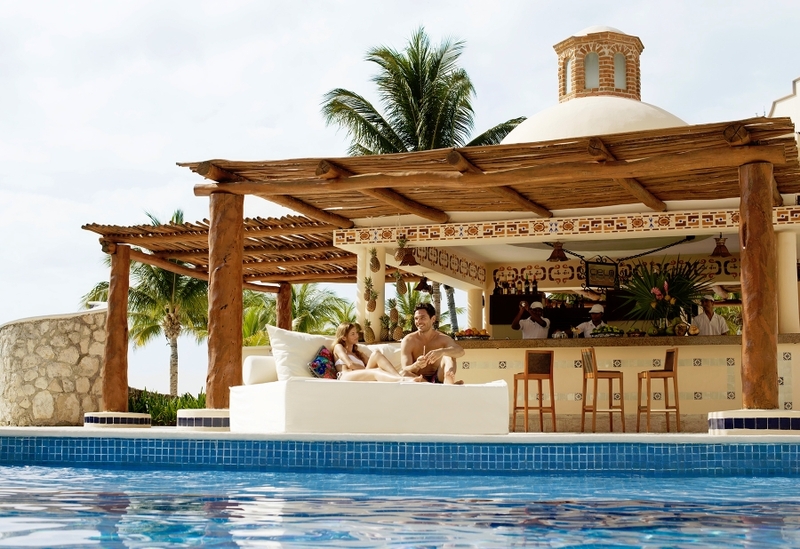 Excellence Riviera Cancun is the perfect resort for experiencing it all as a couple. 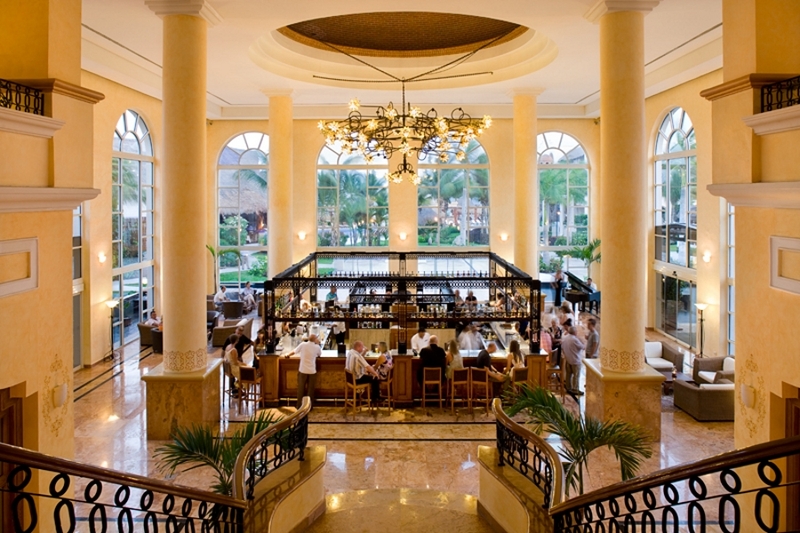 All-inclusive luxury for all ages means the freedom to dine, lounge, sip, play and dance whenever the mood strikes and know it’s all part of your extraordinary vacations. 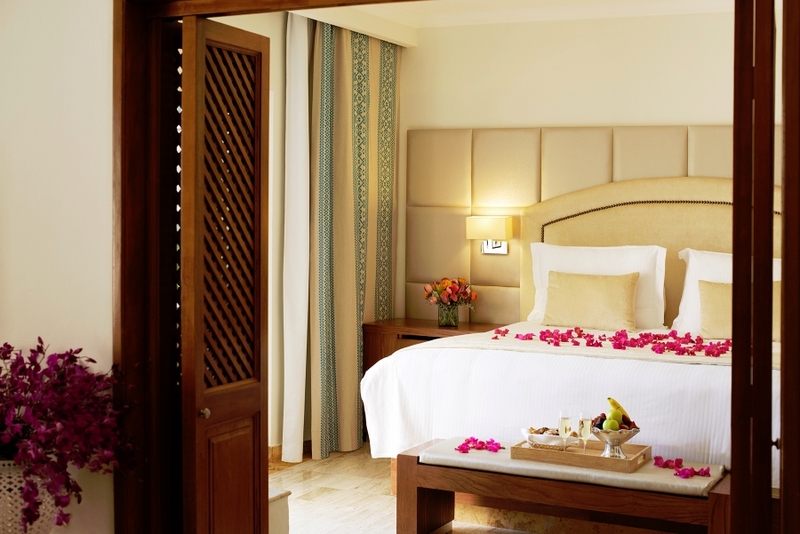 Spacious suite with classic Caribbean decor and private furnished balcony with a magnificent view of the Spa and Pool. Suite features a King size bed or two Double beds, jetted whirlpool bathtub, sitting area, pillow menu, air conditioning with in-room climate control, wireless Internet access, direct dial telephone with free calls to USA and CAN, bathrobes and slippers, flat screen television, radio/alarm clock with I-pod connectivity, electronic in-room safe (lap-top size), coffee/tea maker, stocked mini-bar with beer, juices, soft drinks, water and snacks, in-room premium liquor and wine bottle selection, service box for room service, iron, ironing board, and full marble bathroom with separate shower, separate water closet and double vanities equipped with hairdryer, vanity mirror. Located on the ground floor, offers direct access to the pool, private furnished terrace with outdoor Jacuzzi, one lounge bed and one hammock. 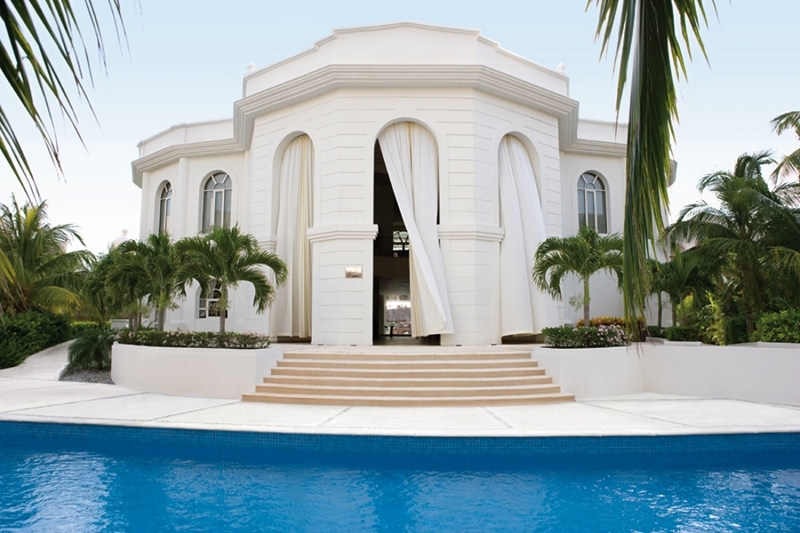 The pool is just 2 or 3 meters away from the terrace. Suite features a King size bed or two Double beds, jetted whirlpool bathtub, sitting area, pillow menu, air conditioning with in-room climate control, wireless Internet access, direct dial telephone with free calls to USA and CAN, bathrobes and slippers, flat screen television, radio/alarm clock with I-pod connectivity, electronic in-room safe (lap-top size), coffee/tea maker, stocked mini-bar with beer, juices, soft drinks, water and snacks, in-room premium liquor and wine bottle selection, service box for room service, iron, ironing board, and full marble bathroom with separate shower, separate water closet and double vanities equipped with hairdryer, vanity mirror. With spectacular View of the Caribbean Ocean and private furnished balcony, suite features a King size bed, jetted whirlpool bathtub, sitting area, pillow menu, air conditioning with in-room climate control, wireless Internet access, direct dial telephone with free calls to USA and CAN, bathrobes and slippers, flat screen television, radio/alarm clock with I-pod connectivity, electronic in-room safe (lap-top size), coffee/tea maker, stocked mini-bar with beer, juices, soft drinks, water and snacks, in-room premium liquor and wine bottle selection, service box for room service, iron, ironing board, and full marble bathroom with separate shower, separate water closet and double vanities equipped with hairdryer, vanity mirror. 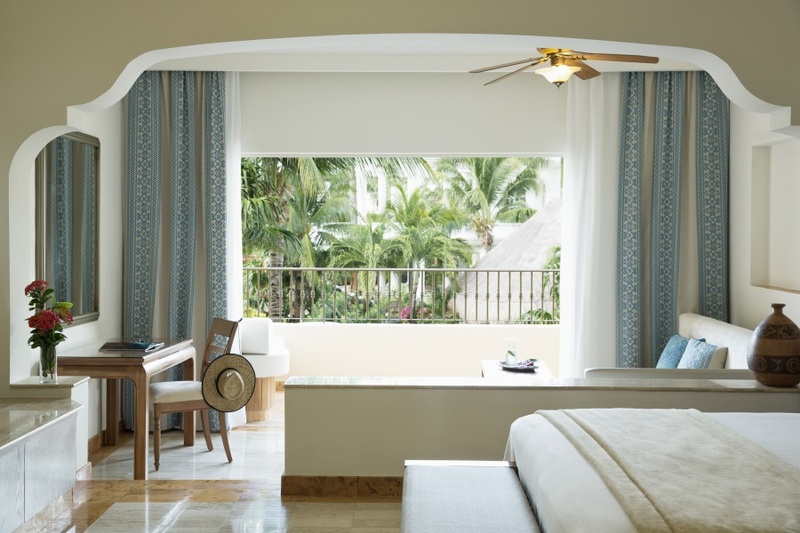 Suites offer furnished balconies with Spa and/or Pool Views, an expansive private rooftop terrace with plunge pool and comfortable lounge furniture. Suite features a King size bed, jetted whirlpool bathtub, sitting area, pillow menu, air conditioning with in-room climate control, wireless Internet access, direct dial telephone with free calls to USA and CAN, bathrobes and slippers, flat screen television, radio/alarm clock with I-pod connectivity, electronic in-room safe (lap-top size), coffee/tea maker, stocked mini-bar with beer, juices, soft drinks, water and snacks, in-room premium liquor and wine bottle selection, service box for room service, iron, ironing board, and full marble bathroom with separate shower, separate water closet and double vanities equipped with hairdryer, vanity mirror. Prime Ocean Front Views with both private indoor and outdoor Jacuzzis, Club suites are located in the VIP section and come with the services of a dedicated concierge and exclusive Excellence Club amenities such as private check-in and check-out, late/early check-out and check-in (subject to availability), private lounge with free Internet access, smart buffets and bar service, upgraded in-room premium liquor and wine bottle selection, Nespresso machine, exclusive pool and whirlpool at the pool area, private beach area, daily complimentary newspaper delivery, beach bag, shoe shine service and one Aqua Wellness Spa Treatment (per person per stay). Suite features a King size bed or two Double beds, jetted whirlpool bathtub, sitting area, pillow menu, air conditioning with in-room climate control, wireless Internet access, direct dial telephone with free calls to USA and CAN, bathrobes and slippers, flat screen television, radio/alarm clock with I-pod connectivity, electronic in-room safe (lap-top size), service box for room service, iron, ironing board, and full marble bathroom with separate shower, separate water closet and double vanities equipped with hairdryer, vanity mirror. With direct access to the pool plus a coveted Ocean View from a private terrace with an outdoor Jacuzzi, one lounge bed and a hammock. Club suites are located in the VIP section and come with the services of a dedicated concierge and exclusive Excellence Club amenities such as private check-in and check-out, late/early check-out and check-in (subject to availability), private lounge with free Internet access, smart buffets and bar service, upgraded in-room premium liquor and wine bottle selection, Nespresso machine, exclusive pool and whirlpool at the pool area, private beach area, daily complimentary newspaper delivery, beach bag, shoe shine service and one Aqua Wellness Spa Treatment (per person per stay). Suite features a King size bed or two Double beds, jetted whirlpool bathtub, sitting area, pillow menu, air conditioning with in-room climate control, wireless Internet access, direct dial telephone with free calls to USA and CAN, bathrobes and slippers, flat screen television, radio/alarm clock with I-pod connectivity, electronic in-room safe (lap-top size), service box for room service, iron, ironing board, and full marble bathroom with separate shower, separate water closet and double vanities equipped with hairdryer, vanity mirror. 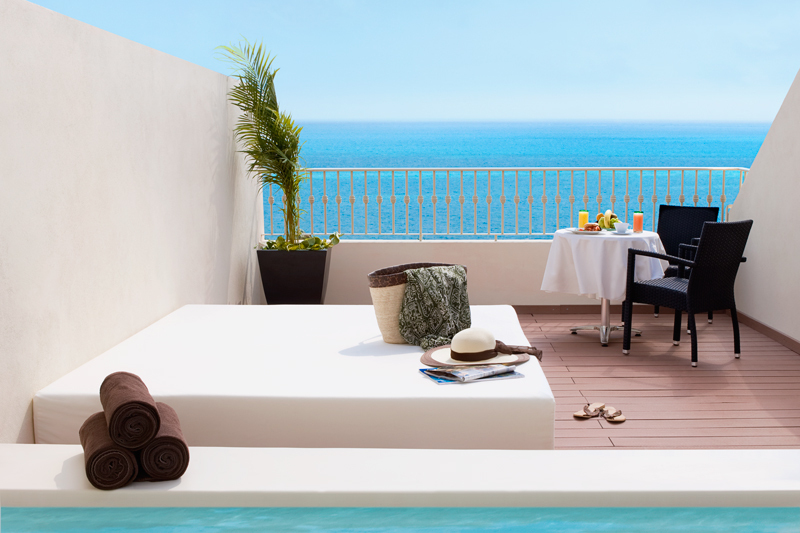 Furnished balconies with Caribbean Views and a private furnished rooftop terrace with plunge pool and shower. Club suites are located in the VIP section and come with the services of a dedicated concierge and exclusive Excellence Club amenities such as private check-in and check-out, late/early check-out and check-in (subject to availability), private lounge with free Internet access, smart buffets and bar service, upgraded in-room premium liquor and wine bottle selection, Nespresso machine, exclusive pool and whirlpool at the pool area, private beach area, daily complimentary newspaper delivery, beach bag, shoe shine service and one Aqua Wellness Spa Treatment (per person per stay). Suite features a King size bed or two Double beds, jetted whirlpool bathtub, sitting area, pillow menu, air conditioning with in-room climate control, wireless Internet access, direct dial telephone with free calls to USA and CAN, bathrobes and slippers, flat screen television, radio/alarm clock with I-pod connectivity, electronic in-room safe (lap-top size), service box for room service, iron, ironing board, and full marble bathroom with separate shower, separate water closet and double vanities equipped with hairdryer, vanity mirror. 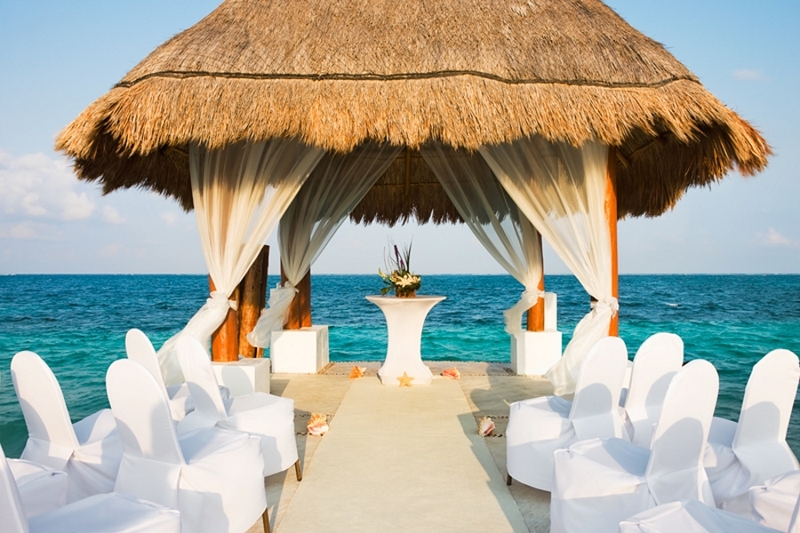 Perfect for wedding and honeymoon couples. A luxury living, exclusive amenities, Ocean Front Views, one bedroom, separate living area, two private and furnished balconies and private indoor and outdoor Jacuzzis for two. Club suites are located in the VIP section and come with the services of a dedicated concierge and exclusive Excellence Club amenities such as private check-in and check-out, late/early check-out and check-in (subject to availability), private lounge with free Internet access, smart buffets and bar service, upgraded in-room premium liquor and wine bottle selection, Nespresso machine, exclusive pool and whirlpool at the pool area, private beach area, daily complimentary newspaper delivery, beach bag, shoe shine service and one Aqua Wellness Spa Treatment (per person per stay). Suite features a King size bed, jetted whirlpool bathtub, sitting area, pillow menu, air conditioning with in-room climate control, wireless Internet access, direct dial telephone with free calls to USA and CAN, bathrobes and slippers, flat screen television, radio/alarm clock with I-pod connectivity, electronic in-room safe (lap-top size), service box for room service, iron, ironing board, and full marble bathroom with separate shower, separate water closet and double vanities equipped with hairdryer, vanity mirror. Offers two private and furnished balconies, one with outdoor jetted whirpool bathtub and an expansive private rooftop terrace with plunge pool and comfortable lounge furniture, open-air shower and impressive Views of the Caribbean Sea. Also has one bedroom, perfect for wedding and honeymoon couples, a separate couple massage room and a separate living room area with sound system. Club suites are located in the VIP section and come with the services of a dedicated concierge and exclusive Excellence Club amenities such as private check-in and check-out, late/early check-out and check-in (subject to availability), private lounge with free Internet access, smart buffets and bar service, upgraded in-room premium liquor and wine bottle selection, Nespresso machine, exclusive pool and whirlpool at the pool area, private beach area, daily complimentary newspaper delivery, beach bag, shoe shine service and one Aqua Wellness Spa Treatment (per person per stay). Suite features a King size bed, jetted whirlpool bathtub, sitting area, pillow menu, air conditioning with in-room climate control, wireless Internet access, direct dial telephone with free calls to USA and CAN, bathrobes and slippers, flat screen television, radio/alarm clock with I-pod connectivity, electronic in-room safe (lap-top size), service box for room service, iron, ironing board, and full marble bathroom with separate shower, separate water closet and double vanities equipped with hairdryer, vanity mirror. The largest suite. Features a generous living room area with dramatic full-front Ocean Views of the Caribbean, a furnished terrace or balcony with an outdoor Jacuzzi for two, a wet bar, separate living room, dining area, kitchen and sound system with in-house music channels. Also enjoy of special and exclusive Club services like one private wine cellar dinner (reservation required), barman service at the suite (reservation required), days pass to other Excellence Group Hotels and Resorts properties with transportation included, unlimited access to Aqua wellness Spa circuit during stay (reservation required), spa amenities at the suite during stay, luggage unpacking/packing service and private airport transfer (2 pax max). Club suites are located in the VIP section and come with the services of a dedicated concierge and exclusive Excellence Club amenities such as private check-in and check-out, late/early check-out and check-in (subject to availability), private lounge with free Internet access, smart buffets and bar service, upgraded in-room premium liquor and wine bottle selection, Nespresso machine, exclusive pool and whirlpool at the pool area, private beach area, daily complimentary newspaper delivery, beach bag, shoe shine service and one Aqua Wellness Spa Treatment (per person per stay). Suite features a King size bed, jetted whirlpool bathtub, sitting area, pillow menu, air conditioning with in-room climate control, wireless Internet access, direct dial telephone with free calls to USA and CAN, bathrobes and slippers, flat screen television, radio/alarm clock with I-pod connectivity, electronic in-room safe (lap-top size), service box for room service, iron, ironing board, and full marble bathroom with separate shower, separate water closet and double vanities equipped with hairdryer, vanity mirror.